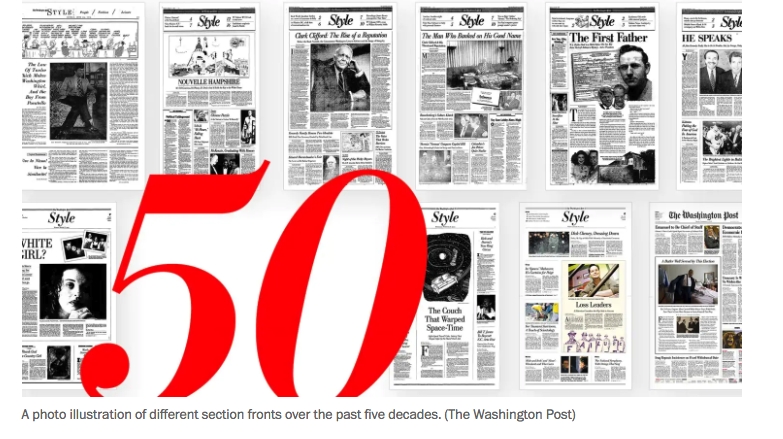 The Washington Post Style Section turns 50 this year. In a special edition celebrating the edgy, groundbreaking, award-winning features section where I worked for just over a decade, a piece of mine from 1995, an interview with John Kennedy Jr., was chosen to be reprinted. I wrote a lot of profiles for Style and I never thought this one was my very best. And it’s a bittersweet read now, remembering what a gentle and dashing and funny guy John Kennedy was. He died just a few years later. Hank Stuever, the TV critic at WaPo, who has written his own motherlode of classics for Style, wrote a introduction to the special section — where you can also find links to a number of great stories, scenes, profiles, exposes and just fantastic writing that will keep you entertained and laughing all day and night. Somebody should get around to putting some of these in a book. 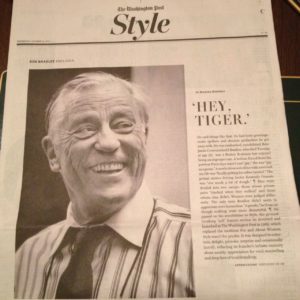 The Washington Post asked me to write an appreciation for Ben Bradlee, the executive editor of the newspaper who hired me as a Style staff reporter in 1989. He was a wonderful boss, editor and man. 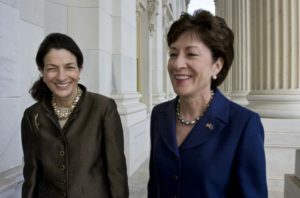 This spring, I worked on a dual-profile of the two senators from Maine — who work seamlessly together despite a decades long and rather bitter rivalry. The Washington Post gave me this terrific assignment, along with lots of support and space. The piece ran last Friday, on May 5, 2011. The photo (below) should take you to the link.